Below are a few examples of some IHG projects we have worked on. 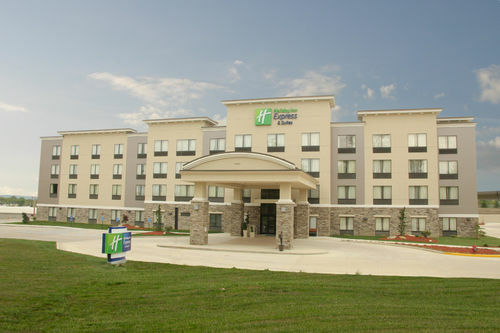 For our complete list of IHG projects, click here. 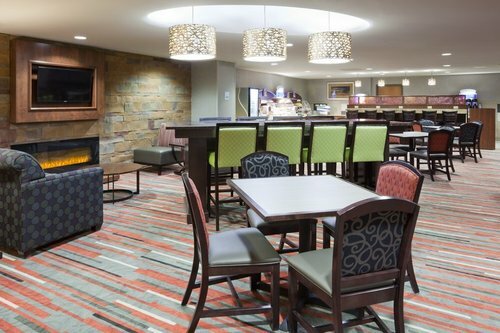 This project was the conversion of an existing Le Bourget Hotel to a Holiday Inn Express in Bloomington, Minnesota. The scope of work included modifications to the pool area, kitchen, employee washroom, guest rooms, corridor, and vending/laundry areas. This 6-story, 91,000 SF Staybridge Suites incorporates structural steel with pre-cast concrete plank, brick, simulated stone and stucco into its design. Construction of this 127 room hotel was completed in 16 months and cost approximately $7.75 million. Ammenities for guests include a 24-hour fitness center, business center, on-site convenience store, and indoor pool and whirlpool. The services provided included conceptual planning and architectural design. Due to strict zoning requirements and unique market conditions, this development required a custom design inside and out. The result is an elegant 4-story, 117 guest room property nestled into the fast growing Tuttle Crossing development. The exterior blends nicely with the surrounding buildings, and every aspect of the interior is unique in design. Special care during the custom design of this property ensured compliance with all of the required brand standards for both the exterior and the interior of the building. The developer, Dora Hospitality, is very proud of this elegant and unique property. 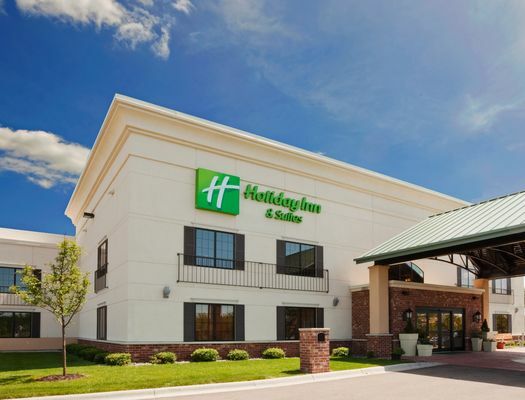 Thanks to a convenient location off I-55 at exit 175 and just 30 minutes from downtown St. Louis, the Holiday Inn Express® & Suites Festus - South St. Louis hotel's guests are close to everything. A 24-hour Business Center, free high-speed, Wi-Fi access, and a meeting room that can seat 25 keep you productive while you travel. 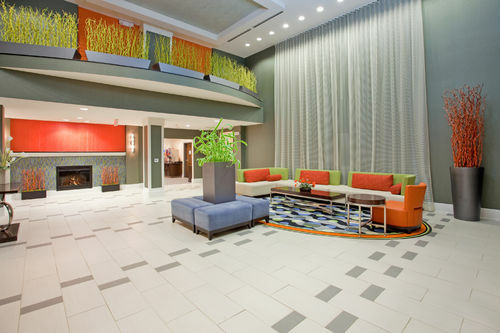 The contemporary hotel welcomes you with all the modern amenities you've come to expect. From spacious rooms with a 32-inch LCD TV to the complimentary, hot Express Start Breakfast Bar, we know what you want. You can relax year-round in the indoor pool or work out in the nicely equipped Fitness Center. 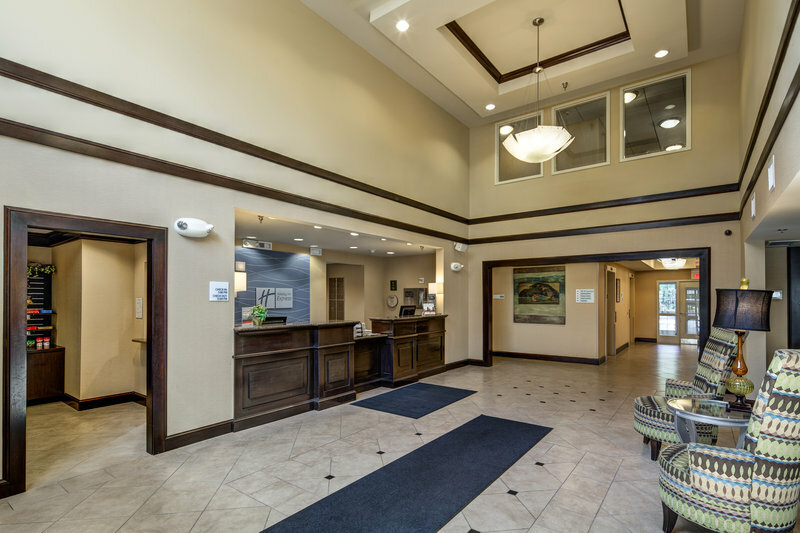 Over 1,900 square feet of meeting space, a 24-hour Business Center and free high-speed Internet access are provided to accommodate our guests' professional needs. During your stay, take advantage of the hotel's Palazzo restaurant & lounge. 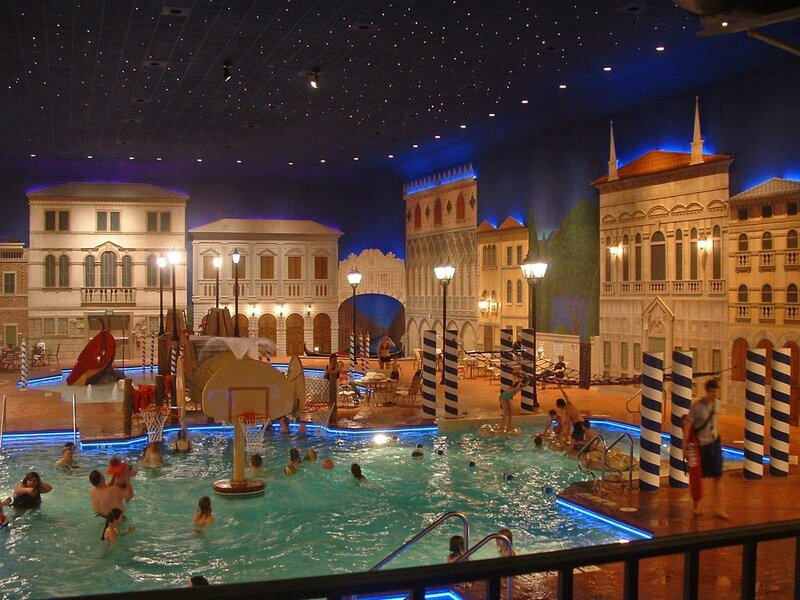 An indoor heated pool & whirlpool and a well-equipped Fitness Center are provided for your convenience, while the exclusive, indoor Venetian Waterpark is open for the best in recreation.